Experience a variety of scenery and impressions! 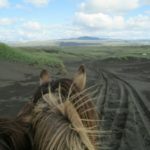 We first ride up a hill on excellent riding trails, along the slopes of the mountain Reykjafjall and through a green forest, a rare sight in Iceland. We then pass many hot springs in the impressive, colorful geothermal area situated just above the village of Hveragerði, a small town also known as the “hot spring capital of the world”. This area expanded dramatically during an earthquake in 2008 and is constantly changing. The path continues along the volcanic hills above the village, which is also known for its beautiful location between the volcano Hengill and the wide plains of the southern lowlands. We have a nice view of Varmá river, called the “warm river” as geothermal water flows through it, and green valleys with rising steam in the distance. 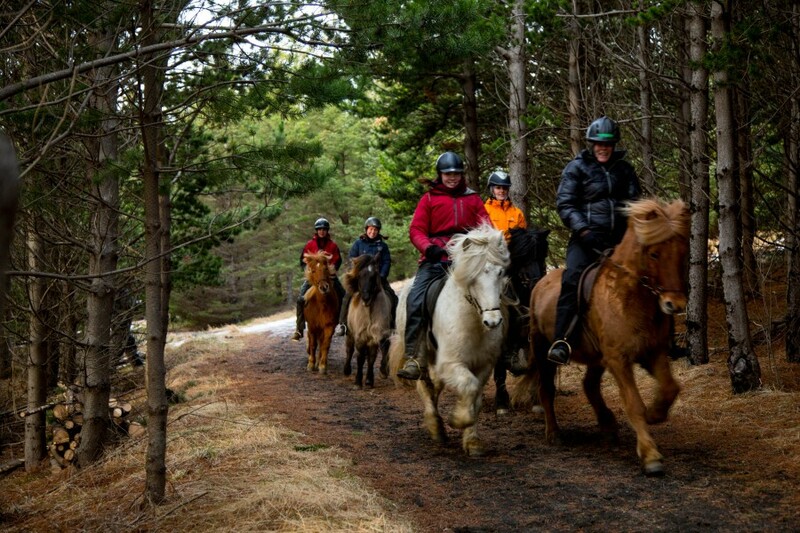 During the winter season, we stop to warm up with a cup of coffee, tea or hot chocolate and learn more about the Icelandic horse before riding back to our farm. Hotel pick-up: In Reykjavik between 8:00 – 8:30 every day. Meeting time at Eldhestar: 9:00. Return to Reykjavik: Around 13:15. Available all year round, starting at our farm at 9:00.